There is a logical explanation on why she began to make her shots. Kim sat her on the bench for a few minutes to take some deep breaths and to release a few farts. She went back into the game and she became Action Jackson. Great game by Baylor. Not a bad loss for UCONN at all. This team is the ABSOLUTE worst matchup for us in the entire country. We just don't have anyone with that kind of size. We looked rusty on offense and our D wasn't tragic, but Brown was just too much. She does pretty good on threes and has the green light on those -- actually 38%. Second on the team with attempts behind the arc with only 13 attempts before tonight. Baylor is badly in need of another gunner besides Landrum (42 attempts). Chou the other shooter left for UCLA. She had a great game. Basketball is all about match-ups, and as you say, no team is a worse one for CT than the LBs. Isn't it cool though- we lose, but we don't have to wait 8 months for the next game. I think I'd agree. Rankings remain basically the same. Baylor to #5 and Maryland goes to #8. I know, I know, how can Baylor jump over Stanford? By beating #1. If Louisville wins, do they go to #2 pushing ND down a notch(es)? Or do they go #1 pushing UConn down one notch? If Louisville wins, do they go to #2 pushing ND down a notch(es)? Or do they go #1 pushing UConn down to one notch? I think if LVille beats ND they go to #1 on the basis of their undefeated record and the win sort of validating their otherwise underwhelming schedule to date. Up until now they've beaten no one of consequence other than Kentucky. The thing is that as a player you have to recognize when your shots are not dropping and quit shooting those 3's. She was O-4 in the first half. In the second half they took her away from the parameter and played her underneath where she began to score points. She did not make one shot except for those she shot under the basket. She played it smart and restricted herself to those in the second half. They also replaced Didi Richards with Cox on KLS and Katie began to lead a mini comeback in the 3rd quarter. They put Richards back on KLS in the second half and Katie had to struggle for any sort of look. I believe Richards D on KLS was a major difference. Clearly, UConn must drop to no higher than #19. This loss, combined with their near loss in Norman prognosticates a terribly lackluster season. WELL-PLAYED, KIM AND YER LADY BEAR CUBS!! I thought they fought through some potential liabilities (i.e. Brown's relative lack of athleticism, Cox's mediocre performance, etc.) with some gritty play by non-headliners, and a collective effort on defensive quality. Only 5 TOs is awesome against a UConn level team. Always delicious to see UConn get spanked. I really don't think this was a fluke, though.....I think there well might be a few more losses ahead for UConn AND for Baylor. Still early in the season. You don't even have to wait 6 days (Dec 2-8 was a very long week for ND fans). There's an interesting trend I've noticed regarding UConn, at least the last few years (While I've been paying attention). At least until their conference schedule kicks in, their FT attempts and FT made are extremely low, especially for a top 10 team. It's almost like Auriemma's "Our guys don't foul" comments results in the refs swallowing their whistles for both teams. Currently UConn is ranked #214 in FTs made and #275 in FTs attempted. Big limb there! It's holding anyone who watched UConn struggle against a team like OU. ETA: For UConn Game of Throne fans- Winter is coming! She did. And Baylor is going to be better with Brown gone next year. A front court of her and Cox will be stupid! As for Brown....and I know she just ate us for lunch and dinner, but I would be very wary of her in the W. In no way, shape or form, is she quick enough or in good enough shape to hang with Stewie, Chiney, Nneka, Tina, Sylvia, Griner, Cambage, or Candace Parker. Her adjustment period is going to be very long, IMO. And I think she is a bit of a project at the next level. I feel the same re: Samuelson and Collier. Why would you do that? The pollsters haven't thought Louisville is better than ND in the past nine weeks. What happened this week to merit jumping them ahead? By that logic you might just as well rank NCSt #1. The reality is that Louisville has played a schedule only marginally better than Maryland's and only moved up from $5 to #3 because people ahead of them lost, not because they did anything impressive themselves. Lou, maybe, Collier, I don't think so. Pheesa has played her entire career without a post player bigger than her. If I'm LV, I take Collier #1 and let her open up the lane for Wilson. Collier showed last night why she really can't/won't play post in the W - on offense she gets stuffed and on defense she's just not big enough. She's not quick enough to make up for her size. That means she has to transition to SF and as we know that transition isn't easy and takes time. I've always really liked Alysha Clark and how she made that transition. I think Collier can too...but not instantaneously. How many total games has Collier played in her entire career in which she has matched up against an opponent 6'5" or over? I suspect you can count them on one hand and have fingers left over. Now how often would she need to do that in the WNBA in the role you envision? Every other game at least? I've liked Collier since she was in HS. But I suspect she's one of those where because of her height she doesn't have an ideal position at the next level. Watched this a day late and really wasn't surprised. UConn is small, struggled against Oklahoma and Cal, and was out-executed on offense and defense by the Lady Bears. I don't ever recall a game where UConn shot 29%. Much of that was attributable to the Baylor defense. Still, Baylor required an anomalously good and probably career game from Kalani Brown, and that freshman Smith was very impressive. This would have been an ideal game for Nelson-Ododa to get about 20 minutes against talented bigs. Why she's not playing more is a puzzle -- especially given that she'll be a mandatory starter on next year's much weaker and shorter UConn team. Collier showed last night why she really can't/won't play post in the W - on offense she gets stuffed and on defense she's just not big enough. She's not quick enough to make up for her size. Really. Napheesa Collier is remarkable, to me, and has a fairly bright future, imo. What is she, 6'2" or 6'3"? Think: Taj M., Erlanna L....she has better foot speed, and a helluva better perimeter game than these gals ever did. And she's a remarkable rebounder, for her size. I'd be more concerned about my future if I was Kalani. Her numbers last night were quite fine, but....in their loss at stanford, Kalani registered a whole 5 points: inconsistent for a star senior? Just as obvious is the fact that she will be LOST in the pros when facing the athleticism of a Griner, Parker, Nneka, Cambage, et. al. The good news is she CAN fix that: an excellent trainer/regimen can afford her a great upside. She reminds me a little bit of Jantal Lavender, who certainly has a place in the pros, but may never be A Star in the post for anybody. I personally love Kalani, and hope the best for her. She certainly made a difference last night. In reviewing the box score, I just realized Kim only played 7 gals....it certainly felt like more were rotated in. All had their shining moments, but Miss Smith was dazzling, for a freshman in a Big Game. I would hold up on that until you see what happens with Brown gone. Smith is not a physical player and benefits from the attention payed to Brown on offense. She does have a nose for the ball which allows her to hit the space created by the attention payed to Brown for those offensive boards and put backs. She is a finesse, not a real physical rebounder. KLS beat her for the rebound on a free throw for a put back at the end of the first half even though Smith had inside position. Smith take advantage of space, but how will she fare if that space is not there? Lets just wait to see how things turn out when Brown is gone. 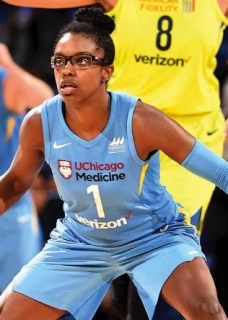 Granted Brown will probably not be as good in the WNBA as she is in college, but in the college game teams still need to make defensive adjustments to keep her off the offensive glass. Baylor might still be better, but it will be because this years freshmen will have one year under their belt, they will get Morris back at PG and will have the depth and speed to run teams the entire game. They just will not have to adjust to Browns game, but that will just mean a different look. However it will also effect the effectiveness in the paint by those that benefited from Browns presence.